Mathematics lovers say that the shorter the text of a problem or theorem and the longer its solution or proof, the more beautiful is that problem or theorem. Philosophers and historians of mathematics say that the longer a theorem stays unproved (as a conjecture), the more important it becomes for the development of mathematics and for the inquiry into the nature and foundation of mathematics. The history of mathematics proves that they were right in this respect. Struggling to solve the conjectures for decades and even for centuries or millennia since their statement, mathematicians were urged to link existing mathematical theories of different natures, structures, and languages, and even to create new theories of a higher complexity than that within which the conjecture was stated. 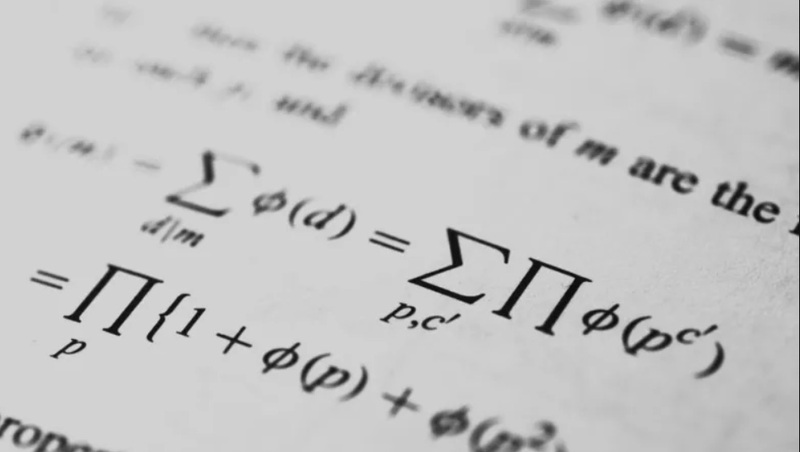 With the addition of new links, structures, conceptual frameworks, and content, they contributed to the increase in applicability of mathematics within itself and also in the sciences. In the current list, we have ten conjectures that were stated in terms of basic mathematics – that is, within basic algebra, number theory, Euclidian geometry, and elementary geometrical topology – which awaited their proof for more than two decades. Also known as Abel’s impossibility theorem, it states that there is no general algebraic solution (that is, solution in radicals) to the general polynomial equations of degree five or higher. The conjecture originates in 1799 in the work of C. F. Gauss, and the first attempt to solve it belongs to Paolo Ruffini in the same year (link 1). However, Ruffini’s solution was not convincing for the great mathematicians of the period (including A. L. Cauchy), because of an incompleteness regarding the definitions of the radicals used (link 2). N. H. Abel is credited as the solver of the conjecture in 1824. The proof was based on some results of the Galois theory; however this theory was not yet crystallized at the time of that proof. A few years after that, with the co-authorship of J. Liouville, the theory of Galois was published and recognized as bringing great discoveries in the theory of equations. In 1963, V. Arnold provided a topological proof of the Abel-Ruffini theorem which established the basis of the Topological Galois Theory (link 3). Given a multivariable polynomial that takes only non-negative values over the reals, can that polynomial be represented as a sum of squares of rational functions? The problem originated in the defense of the doctoral thesis of H. Minkowski in 1885, who expressed the opinion that there exist real polynomials which are nonnegative on the whole R^n and cannot be written as finite sums of squares of real polynomials. 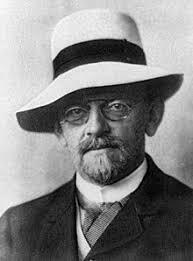 Hilbert solved the particular case of n = 2 in 1893, and the general problem was solved in the affirmative by E. Artin in 1927, using the Artin-Schreier theory of ordered fields, with applications in algebraic group theory and model theory (link 4). Hilbert asked the following equivalent questions within the same list from 1900: a) In an isosceles triangle, if the ratio of the base angle to the angle at the vertex is algebraic and irrational, then is the ratio between base and side always transcendental (that is, it cannot be the solution of any algebraic equation)? b) Is a^b always transcendental for algebraic a not being 0 or 1, and irrational algebraic b? The problem was solved independently by A. O. Gelfond and T. Schneider in 1934 using similar methods, and the result of their work was the Gelfond-Schneider theorem, with a wide range of applications in transcendental number theory, linear algebra, and model theory. Precursors brought important contributions to the solution, such as J. Fourrier’s for the irrationality of e in 1815, C. Hermite’s proof for the transcendence of e in 1873, and C. L. F. Lindemann’s proof for the transcendence of π in 1882 (link 5). Stated first by P. de Fermat in 1640 in a letter to a friend of his, the conjecture says that if p is prime, then for any integer a, integer a^p – p is a multiple of p.
Several proofs were given to this theorem over time, either in combinatorial, multinomial, dynamical systems, modular arithmetic, or group theory terms. L. Euler first published a proof in 1736 (with modular arithmetic), however Leibniz had actually left the same proof in an unpublished manuscript before 1683 (link 6). The theorem is a fundamental result of number theory and stands as an important primality test. An immediate generalization of this theorem is Euler’s theorem in number theory. The most relevant theoretical application of this theorem was in group theory; as for practical applications, one is in cryptography. In topology, Poincaré’s conjecture is a statement characterizing the 3-sphere (the hypersphere bounding the unit ball in four-dimensional space), saying that every simply connected, closed 3-manifold is homeomorphic to the 3-sphere. In other words, for a space that locally looks like three-dimensional space but is connected, finite in size, and lacks any boundary, if such a space has the property that each loop in the space can be continuously tightened to a point, then it is necessarily a three-dimensional sphere. H. Poincaré stated this conjecture in 1904, and in 2000 it was named one of the Millennium Prize Problems. In the 1950s and 1960s, other mathematicians attempted proofs of the conjecture. In 1958, R. H. Bing proved a weak version of the Poincaré conjecture: if every simple closed curve of a compact 3-manifold is contained in a 3-ball, then the manifold is homeomorphic to the 3-sphere (link 7). Russian mathematician G. Pelerman offered a complete solution based on R. Hamilton’s theory of Ricci flow and made use of results on spaces of metrics due to Cheeger, Gromov, and Perelman himself (link 8). The solution was presented in three preprints posted online between 2002 and 2003, and was reviewed and confirmed in 2006. Pelerman was awarded the Fields Medal for his work. 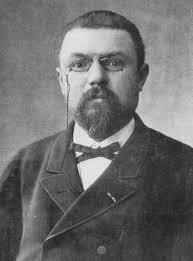 Poincaré’s conjecture belongs to the early history of algebraic topology. Generalizations of the conjecture to higher dimensions (already proved) links to the concept of deformation in Riemannian geometry, with implications and applications for gravitation and cosmology. The theorem states that four colors suffice to color any map such that two adjacent regions will not share the same color. The conjecture was suggested in 1852 by Frederik Guthrie to his professor, mathematician Augustus De Morgan, who made it public and contributed to its solution. Other famous contributors were W. R. Hamilton, A. Cayley, A. Kempe, P. G. Tait, and J. Koch. The theorem was proved within graph theory, with the crucial help of Euler’s formula; however, projective geometry, knot theory, topology, and combinatorics were appealed over time to contribute to the proof. Mathematician E. C. Catalan conjectured in 1844 that 8 and 9 are the only consecutive powers (3^2 – 2^3 = 1); or in other words, this is the only non-trivial solution of the equation x^p – y^q = ±1. More than 500 years before Catalan’s formulation, Levi ben Gerson had found that the only powers of 2 and 3 differing by 1 were 8 and 9. Hyyrő and Makowski proved that no three consecutive powers exist. R. Tijdeman showed in 1976 that there can be only a finite number of exceptions should the conjecture not hold. In 1999, M. Mignotte showed that if a nontrivial solution exists, then p < 7.15 x 10^11 and q < 7.78 x 10^16. 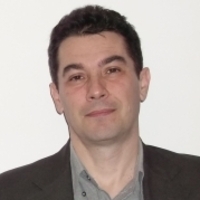 Romanian mathematician P. Mihăilescu solved the conjecture in 2002 in a manuscript sent to several mathematicians and published in 2004 (link 10). The solution makes use of the theory of cyclotomic fields and Galois modules. A generalization of Catalan’s conjecture applies in complex number theory. Other applications are in Galois theory of groups. 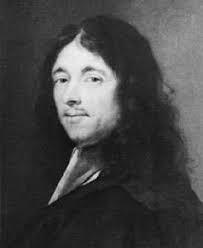 The conjecture stated by P. de Fermat in 1637 says that there are no positive integers a, b, and c such that a^n + b^n = c^n for any integer n greater than 2. One of the most notable theorems in the history of mathematics, it can be formulated equivalently in various ways, either within number theory or theory of elliptic curves. Fermat proved the conjecture just for the particular case of n = 4; however, this yielded an important reduction, that of being sufficient to prove the conjecture for exponents n that are prime numbers. Then, mathematicians struggled for over 350 years to find a proof, and dozens of them made advances. Over the next two centuries following Fermat’s partial proof, the conjecture was proved for only the primes 3, 5, and 7. 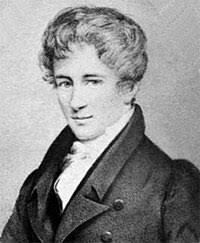 In the middle of the 19th century, E. Kummer proved it for all regular primes (link 11). The final proof was offered in 1995 by A. Wiles, who replaced elliptic curves with Galois representations (link 12). The proof brought him the Abel prize in 2016 and other awards. During the search for the solution, a link was discovered between the elliptic curves and modular forms, two completely different fields of mathematics. The problem and its solution contributed to the development of algebraic number theory and the proof of modularity theorem. 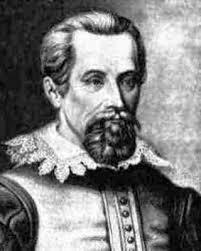 Stated in 1611 by astronomer Johannes Kepler, the conjecture concerns sphere packing in three-dimensional space: It says that no arrangement of equally sized spheres filling a space has a greater average density than that of the cubic close packing and hexagonal close packing arrangements. F. Gauss showed in 1831 that the conjecture is true if the spheres are arranged in a regular lattice. In 1900, D. Hilbert included the conjecture in his famous list of 23 unsolved problems of mathematics. In 1953, F. Tóth showed that the problem of determining the maximum density of all arrangements could be reduced to a finite number of calculations. This meant that a proof by exhaustion was possible with the help of a fast enough computer. Following this idea, T. Hales applied linear programming methods to a function on over 5,000 configurations of the spheres and announced in 1998 that his proof was complete. The proof also relies extensively on methods from the theory of global optimization and interval arithmetic (link 13). This wasn’t enough for Hales. In 2014, together with 21 collaborators, he completed his project to find a formal proof for the Kepler conjecture, which can be verified by automated proof checking software (link 14). Although it looks like a problem in recreational mathematics, Kepler’s conjecture has relevant links to other geometrical-topology problems that are involved in various optimization models (including the hexagonal tiling of plane and space). By far claiming the longest waiting period for a proof, this conjecture has both practically applicative and philosophical implications. It says that the regular hexagonal grid is the best way to divide a surface into regions of equal area with the least total perimeter. It can be also stated in terms of finite graphs with smooth curves in bi-dimensional space. The origin of this problem is obscure; it is mentioned in a text of Marcus Terentius Varro around 36 B.C. ; however, it is hypothesized that Zenodorus’s much earlier work Isometric Figures (about 180 B.C.) might have mentioned it. The proof was provided in 1999 by the same T. Hales. The key lemma of the proof is an “isoperimetric” estimate for perimeter in terms of area and the proof is based on a reduction to finite clusters (link 15). The theorem and generalizations thereof have immediate applications in optimizing space, physical structures, and material waste, for instance in construction. Generalized for the three-dimensional space to describe the shape of bees’ honeycomb, the theorem became a subject of debate in the philosophy of science. Since in physical terms, it reverts to the evolutionary fact that with the hexagonal shape. the bees consume the least amount of wax for a given honeycomb, philosophers of science asked several questions regarding the nature of the explanation of that fact: is this a genuine mathematical explanation, a biological explanation, or a combination of both?. Do bees (and animals in general) have a perceptual mathematical knowledge provided by evolution that complies with formal mathematics? How is it that bees “know” the truth of the conjecture and humans had to wait over two millennia to prove it?